Much of this post has been cross posted from my class blog, ‘Kids in the Mid‘. What an unusual title? I wonder what we are going to be doing this week in the challenges? Once you are starting to create online, you often need to have a special identity. This is usually in the form of an avatar. You created them for World Maths Day, you have them in Facebook and, of course, you have them when leaving comments on blogs. So, this week’s activities relate to avatars and online identities including creating a positive digital footprint. Avatars are a representation of yourself. Check out this post about avatars. Create your avatar using one of the websites below. 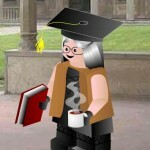 Sue Waters from ‘The Edublogger‘ has written a great post about avatars, including giving instructions on how to save them and then upload to an ‘Edublogs’ blog. Many of the sites mentioned below are included in her post. But over 13, need parental or guardian permission for these. So you decided to create an avatar like “Hero Factory” or “Build your wildself” or “Mini Mizer” where you can’t save it easily. You need to take a picture of the screen first. Most computers have a printscreen button on the keyboard or if using Windows 7 you have an icon called “snipping tool”. Open MS Paint and click control V to paste your image from the clipboard. To save, you need to go to File>Save As> change the name of the file to yourname with ava eg sueava then underneath change the file type to JPEG. Make sure you save your avatar to your drive. Activity 2 – Write a post describing your avatar. How much does it look like you? What sort of personality does your avatar have? What makes it typically you? Remember to include your avatar as an image in your post. You really enjoyed creating your avatar on line. Create them for your family or multiple versions of yourself. Now put them in a slideshow using animoto, smile box or photopeach. Or use the gallery format on Edublogs. Are there any other great slideshow tools you could use? Activity 4 – What is a digital footprint? Watch this video, then write a post about what might be included on your digital dossier or digital footprint. What sites have you joined? Google your name or nickname but include your town as well. Are you on the web for sports teams, named in newspapers and where else? How many cookies or footprints are you leaving behind? Activity 1 – Create a class avatar slideshow similar to activity 3 for students. Commenting is one part of our digital footprint, so it is important students know how to comment in an appropriate way. Check out this video by Mrs Yollis and her students. Check out this page by Ms Edwards. Check out this pdf by Kathleen Morris. Check out this glog by Mrs Allen. How many parents are involved in your class blog? Do they check it out regularly or is the blog just something you and the students do at school? How could you involve parents more in the blogging process? Kathleen Morris and Linda Yollis have some great ideas about involving parents or grandparents. Check out this handout about blogging, navigating the class blog, family blogging month winner and grandparents comment. Next week we look at global activities getting ready for Earth Hour at the end of March. Konnichi wa! I know this is an old challenge. BUt what’s so wrong with Manga Face Maker? I found nothing inappropriate about it.. and I did not find anything that parents would disagree with. I know that the post came out a little clumped on my page, but I finished (*is determined to catch up on the challenge!*)! I am having difficulty getting my Animoto to show. I sent it to YouTube, and same problem. Copied the HTML code,clicked on the “HTML” tab in our Edublog, pasted the code. Published the page. When I viewed it, nothing showed up. In the meantime, I’ve placed a link. Is your class blog one of the free Edublogs blogs because remember they don’t accept a lot of HTML code? Did find the animoto in your blogspot blog instead. Thanks Miss W, that explains it. When you are in your Edublogs dashboard, there is a Pro+ section. Click on that and there should be instructions I think on how to upgrade your blog. Hi again, forgot the link. Pingback: My Avatar Family Slide Show | Bree's Brilliant Blog. 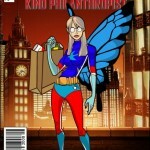 Pingback: Why my avatar looks the way it does | ANIMALZ RULE !!! 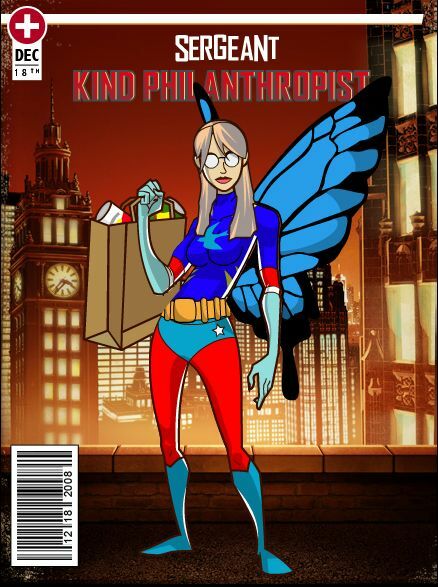 Pingback: My Avatar | Crystal's Fantastic Blog! We now have a welcome post for parents. I also created a Family page with the same info. We have our comment guidelines established and are practicing on partner pages. 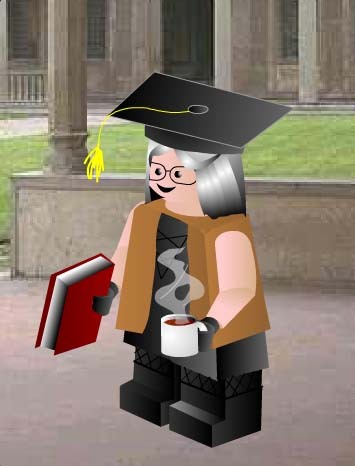 We do not yet have avatars because there is only so much time: I teach writing, not computers or tech, so time is short for creating avatars. I’m sorry if we have not kept up — I started late, and didn’t quite understand what to do until Miss W wrote on our blog! Thank you for explaining. Pingback: Digital Dossier | Marshall, the Insane Squirrel. Pingback: What have I learned this quarter? I use blogger so how do I upload my avatar please? If you look on the challenge blog down the right hand sidebar to the ‘Get Help’ section, you will find a link to ‘Blogspot help here’. This is a blog written by a teacher in New Zealand who gives lots of clues on adding bling to your Blogger blogs. Hope this answers your question. You haven’t left the URL of your blog here so I can go and visit. Go to your dashboard> users > your profile and fill in the area called website with the URL of your blog. Remember to include the http:// bit as well. Pingback: How and where does weather form? When you geta cluster map and you delete it on accident can you bring back all the dots from were people have visited it? I think if you go back to clustrmaps and sign in again with your username and password they should have your map that your can embed again. And what if i dont use edublogs? i use weebly! I visited your blog and it looks like you worked out how to add the avatar to your blog anyway. Perhaps a post I could link to next time, telling others how to add avatars to weebly. Miss W what if i don’t want to use the avatar makes can i use a picture of my own choice? It is up to you and your teacher. Your school might have certain requirements about having avatars, so check with your teacher.